I was at a party at South by Southwest last year when I ran into a group of my former Facebook coworkers. It was only minutes before I was swept up in a performance that is in many ways the defining ritual of Facebook, an unpaid performance that has made a few technical men very rich and powerful, and has enabled the unprecedented access of the government to the personal data of over a billion people. As I was exchanging greetings with my old colleagues, one person in the group jumped back to take a group photograph. She raised her camera and motioned us together for a picture, interrupting our conversation so we would turn, faces frozen in smiles, like so many women lined up at a Miss America pageant. Even though I was no longer a Facebook worker, and had in fact written about the ways in which Facebook successfully extracts the data and labor of its billion users, I was once again its subject, because I am a woman, and posing for Facebook and its many watching eyes is what, according to Facebook, women are supposed to do. Though this gendered ritual– which is built on the assumption that women are available on demand to the photographer’s gaze– has been going on as long as Facebook, it was only in 2013 that the issues of sexism in tech and social network surveillance became major news stories. However, they are never discussed in the same breath, or even often by the same reporting outlets. Reporting on these issues tends to be gendered by default: NSA surveillance is considered relevant to tech’s core constituency of technical men, while sexism in tech is covered as a women’s professional issue rather than a technology one. What goes unexamined is the way that both surveillance and sexism in tech are functions of power in technology, and that surveillance (as well as its analog prototype, the male gaze) has a long history of affecting “the other” differently than those in power. Government surveillance within social networks didn’t arise out of nowhere; instead, it is a product of longstanding inequalities in power in technology that have historically privileged white men above all, who have been much more likely to control surveillance technologies than be targeted by them. The outrage over NSA surveillance has occurred and received massive coverage not because the deployment of technology for citizen surveillance is new but because white, technical, American men have finally become targets of the surveillant gaze rather than its aloof masters. In fact, the “transparency” promoted and enabled by social networks like Facebook has long been gendered in practice, with women making up the majority of viewed profiles on the site, and men making up the majority of profile viewers and site creators. The precursor to Facebook was Facemash, an application Mark Zuckerberg developed. It displayed photographs of students hacked from Harvard’s servers and allowed viewers at their computers to rate their appearances. Facebook iterated on Facemash by adding profile information to Harvard students’ photos and eliminating the rating function. 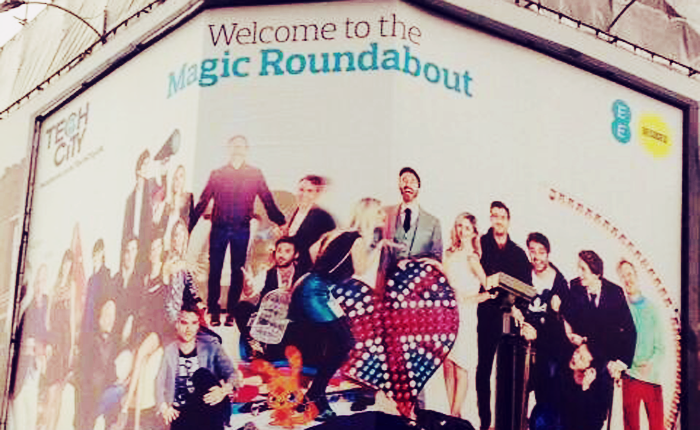 However, removing the rating feature did not change the basic function of the site, which was to display the photographs of the people around you for your consumption… and your judgment. Few mark this “transparency” as a mode of surveillance, because the surveillance Facebook enables is “social” — a matter of seeing how people look at parties, not watching them in the name of the state. Yet it is a mode of surveillance, with women as its primary target, and their photographs and Facebook walls driving the vast majority of site usage. We would only learn about the incursion of the state’s eyes and servers into the social network in 2013. 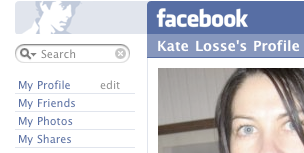 This gendered difference in consumption on Facebook is largely invisible. Facebook does not make statistics for profile views transparent, and we only know of this phenomenon through academic research that is often not widely available. Ultimately, transparency for tech companies, like for government surveillance, is not symmetrical. Social networks distribute information on an unequal basis, from the least privacy-aware users who unwittingly share everything with everyone, to more tacit, privacy-aware users, and finally to their employees, who in some companies – especially in the early, startup stage – have access to all site data, which as anyone who has worked on an engineering floor knows, isn’t truly off limits (even engineered internal security measures can often be worked around in the code). Just like the consumption of publicly available data, the illicit consumption of data tends to be gendered; anecdotally, all cases I know of where engineers have been disciplined for abusing their data privileges involved unauthorized access to women’s profiles. 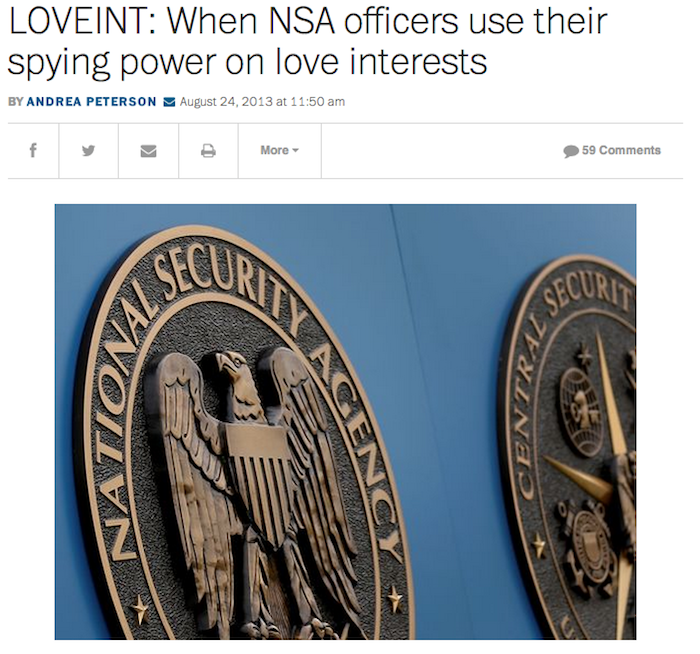 In this, the typical mode of exploitation of social media data by social network employees mirrors the most frequent form of data exploitation by NSA employees: what is code-named LOVEINT, in which an NSA employee illicitly spies on a love interest. Even outside the engineering floor or the NSA office, gender norms make the position of surveiller more available to men than women– a man who doesn’t post is cool and privacy-savvy; a woman who doesn’t post much is considered weird and antisocial. While women smile and perform for social networks, men can use social networks in a proto-surveillant mode, avoiding the gaze that follows women so intensely online. Women have always been the subject of the gaze that demands we reveal ourselves or risk the appearance of hiding something – perhaps our deviation from patriarchal beauty norms (in sexist culture, a crime of sorts). It is only with the revelation of NSA spying that white men have suddenly had to grapple with being forcibly transformed from watchers to watched. 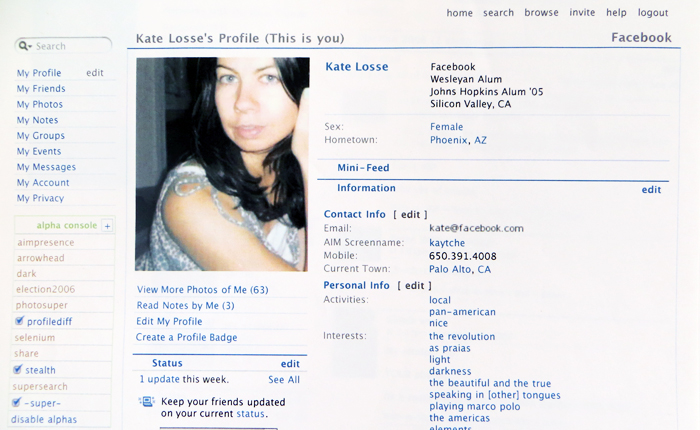 An early design of Facebook featured the image of a man in the upper left corner, watching. The fact that tech reporting has been slow to cover the political implications of social networking may be due to gendered logic that says watching women is natural and social, not political or invasive. Monitoring male citizens, in contrast, is considered unnatural and politically threatening, which is why men have been long permitted to “opt out” of the social network gaze while women are expected to freely produce the content that fuels social networks. Only now that social networks’ vast caches of data are known to be shared with government agencies has social networking come, finally, to be understood as a political issue. But this new understanding of social networking as a form of political surveillance– which we often find being debated or protested publicly by the white men who are finally its subjects– forgets the ways in which social networking, and technology itself, has been political all along. Technology, after all, is fundamentally about power– it refers in the most elemental sense to the development of tools that extend the power of their owners. I became aware of technology as a scene of power at a hacker conference, where the elevator was not just a way of getting between floors but was viewed as a hackable piece of technology. It, along with everything else in the hotel – the ATM, the phones, the slot machines – had to be hacked. The person who hacked the elevator would gain control of the elevator, and could override its functioning (at Defcon, this meant making the elevators go twice as fast). One hacks in order to be in control– of an elevator, a cash machine, an iPhone…. or a social network. If the technology one builds is a social network, one decides how its features work and what they emphasize: in Facebook’s case, the site’s emphasis is on photographs and identifying information. And while photographs of women make up the majority of viewed content, Facebook’s controlling entities– founder, board, and product engineers– are mostly male, and product decisions reflect this control. For example, when Facebook’s “Places” location product first rolled out, it allowed users to be tagged in locations by friends. During the development of “Places”, I discussed with some other women in the Facebook office how being tagged without consent by friends could create a specific vulnerability for female users, who might be subject to predators searching for their locations. But we were not developing the product. It rolled out as planned, designed by men who were not thinking of the vulnerabilities women experience with regard to physical location. 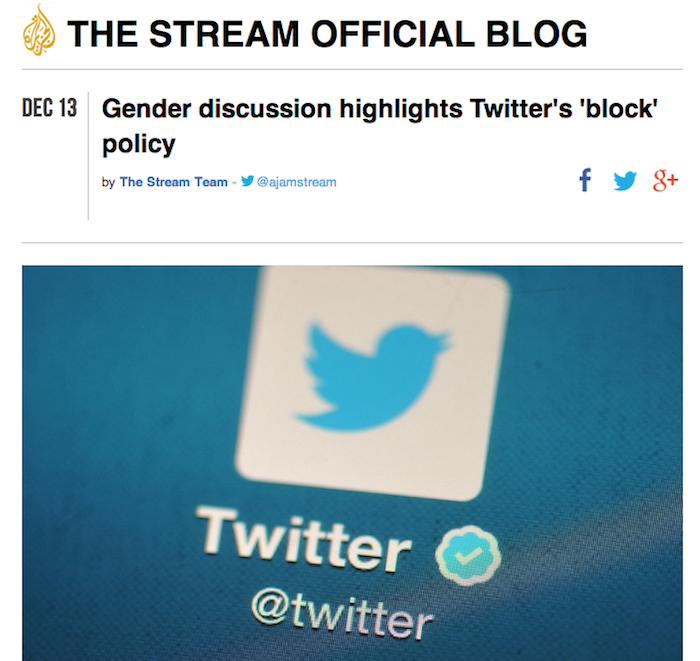 Likewise, when Twitter decided to remove users’ ability to block their tweets from particular users, many speculated that the decision would have been different if Twitter’s leadership, currently very white and male, included people whose marginalized identities make them routine targets of online harassment. Currently, technologists are rewarded for their technical skills rather than their sensitivity to power and its abuse; and despite any gap in sensitivity it is the technical who determine the rules of technical products and whether these rules will be communicated in full to users. A startup founder once warned me, “don’t assume that anything you do on my site is completely private,” which is a warning not given to the site’s users in general. In a true two-way transparency between a site and its users, perhaps it would be. 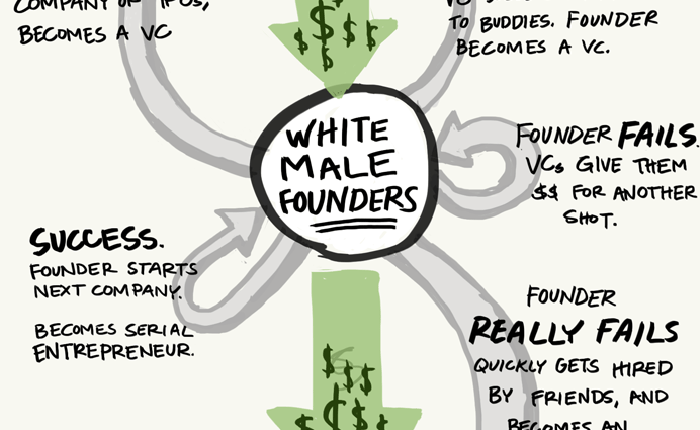 But as the game is currently played in Silicon Valley, technologists deploy power over users without check, and the more users they amass, the more “impact” and power they have. It is no accident then, but rather a fact of power, that users are expected to be transparent with companies but transparency from the companies cannot be demanded by users. Hacking is inherently political– a way of using technology to amass power. Perhaps as a way to protect this amassed power, then, the political ideology of Silicon Valley refuses to imagine power as an unequally distributed feature of our society. The discourses of “meritocracy” and “transparency”, in fact, work to flatten a notion of political difference in their very definition, invoking a world in which hierarchies of power– the asymmetrical ability of one group to affect others– simply don’t exist. According to Silicon Valley ideology, power doesn’t exist in a “meritocracy” because people get what they work for, regardless of who they are. Power doesn’t exist in a world governed by “transparency” because it is imagined that no information people disclose about themselves, regardless of who they are, will be politically misused. In other words, in a world imagined by “meritocracy” and “transparency”, there is no political oppression or violence; people can be tagged at locations and information can be gathered because no group in particular is ever unfairly targeted by those in power. And in a world imagined as flat and meritocratic, the fact of power and oppression is erased in favor of a vision of the world in which all one has to do to achieve parity is learn to code. This ideology that all one must do to escape inequity is to be technical– also known by the phrase of the year, “learning to code”– is deeply tested, however, by the issues of NSA surveillance and tech industry sexism. Both issues pose profound problems to the meritocratic narrative because in both cases simply gaining mastery of the technical tools does not make one safe from the predations of power. Sexism in tech means that even when women learn to code, they may be paid unequally or sexually harassed or intimidated at work and online. And in the case of NSA surveillance, regardless of how much power one has technically, or how secure one’s password is, the government can still read your email. NSA spying, to the chagrin of the technical community used to being in control of technology, reduces even the wiliest hacker to the status of a basic social network user who can’t prevent his account information from being visible to engineers or other agents on the back end. In this sense, government has usurped the technocrat, laying claim to the data the technocrat has amassed; however, both government and technocrat remain more powerful than the user, who controls neither the amassed data nor the power it entails. Regardless of whether the tech companies or the government “win” the battle for control of this data, the majority of people who freely contribute this data won’t win. These contests for power are a fact of our current technical world, occurring all the way up the technology food chain, from simple hardware hacking contests to tech companies’ struggles with government agencies. As such, technology, far from being a flat playing field, is political at every level. Becoming aware of how and how much power operates in technology, then– whether in the sexist and racist politics of the engineering floor or in the politics of government surveillance– is necessary in order to make technology better for everybody. NSA surveillance is the most powerful proof thus far of the fact that while computers may not have a political agenda, those who control them do, and our experiences online are shaped by it. 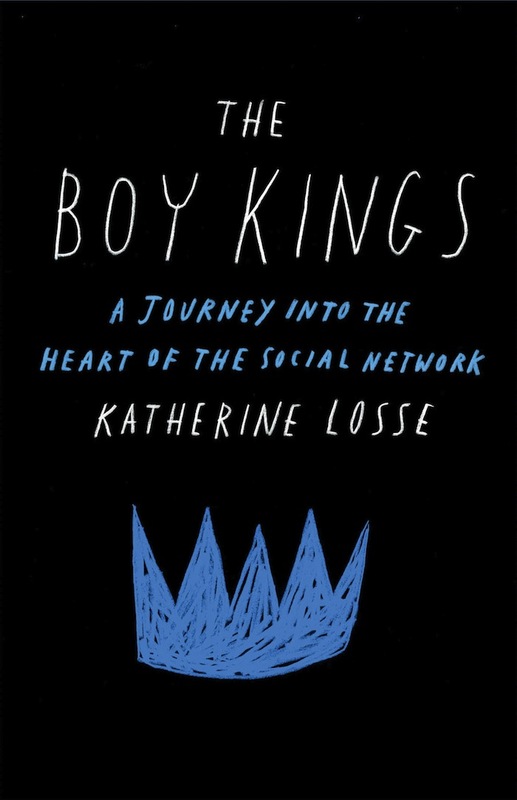 The Boy Kings covers some of Facebook’s pivotal early years. Technology’s power disparities, which have allowed companies like Facebook to make the male gaze virtual and massively profitable, have long been visible to those of us who don’t control it. Technology has been a site of politics all along – it’s just that now, with revelations around NSA surveillance, those politics are becoming palpable to technical men who have become subject to the technologies they once singularly controlled. Resolution of these power imbalances– between those whom technology privileges and those it doesn’t– will require us to recognize power as an element of technology that doesn’t privilege everyone equally. 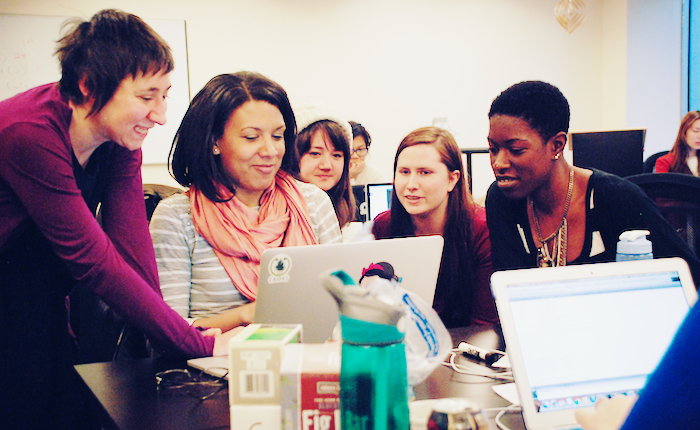 This means working to recognize and transform the abuse and imbalance of power wherever it inheres– whether in the ever-expanding monitoring of citizen activity or the consistent exploitation of non-white, non-male, non-technical “others” in the tech workplace. What surveillance and sexism have in common is a pattern of de facto exploitation of people who don’t control the technology. They are allowed to exist through the unchecked, often unacknowledged power of a few who are in power over the many who are not. In sum, true transparency in the tech industry would mean being transparent about power across the board: who has it, who benefits from it, and how and against whom it gets used. What we have now is a technocracy that monitors users and citizens according to its own, undisclosed rules and motives, whether through browser cookies, phone tracking, face-recognition technology, NSA logging, or other. All of this is marketed as “transparency”, which as currently practiced is a one-way, visual property, the absence of opacity between watcher and watched. At the moment at SXSW when I was being photographed with my old coworkers, the opacity to be overcome was between the people consuming images on Facebook and the smiling women at the party. Our friend the photographer finished taking pictures of us and instantly uploaded them to Facebook: transparency, at least momentarily, had been achieved.